“I received immediate, unconditional acceptance into the honors program at IUPUI (Indiana University). This is a real landmark in my education because it will help me get into med school. Thank you for the reference letter. And thank you Angelicum for the excellence in teaching materials!” In Christ, Christina A. Why Enroll in the Angelicum? Parent-selected Courses and Mixable Grade Levels. 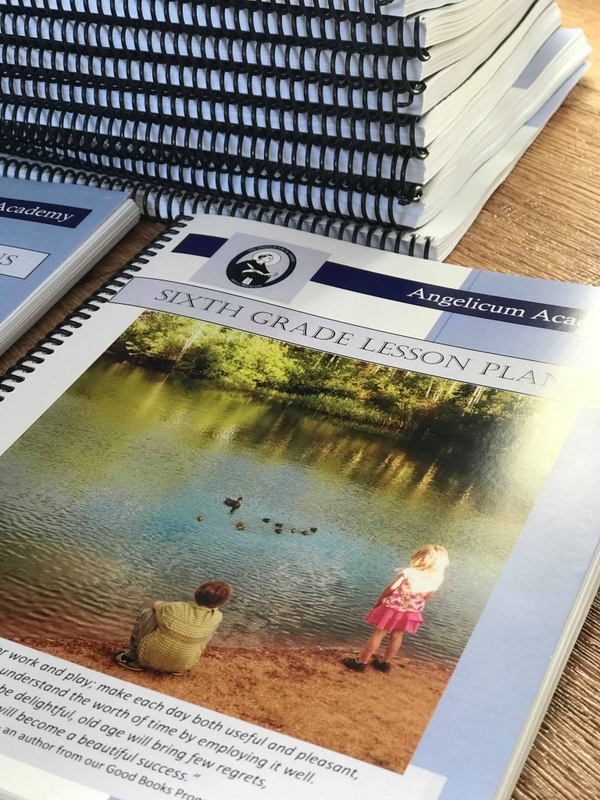 To build a stronger foundation for your child’s education, the Angelicum offers enrollment at any time of the year. We grade and record all quarterly tests and book report forms. We test on your schedule – we have no deadlines you have to meet. You may send the tests to us at any time of the year. Parents have repeatedly told us that our Grading Services have been invaluable for the insightful comments, praise for work well done, suggestions for improvement where needed, and the consistent cycle of testing quarterly. Parents often need an outside source for their children, especially as the children get into their teen years, to help keep the school year on track. Our grading services include offering comments and suggestions on all papers and tests sent to us. We grade all of the quarterly tests for your student. We send the tests back to you. If you have any questions about our grading service, please email the registrar, Dr. Elisabeth Carmack, at: AngelicumMailbox@aol.com – we will be happy to answer your questions. Academy Lesson Plans and Books Report Forms – for all courses taken during the course of one year for one child. You may begin your school year with us at any time of the year. Diploma – if the student completes our requirements for one. Free Good Books Program Study Guide when you enroll in grades Nursery through 8th. Angelicum Academy accepts enrollment for Nursery-12th grades at any time of the year. All information submitted to the Angelicum Academy is kept strictly confidential. We do not sell our mailing or email lists.